I edited and annotated my great-great-great-grandfather's Civil War diary. If you are looking for gripping battle action, you'll be disappointed. 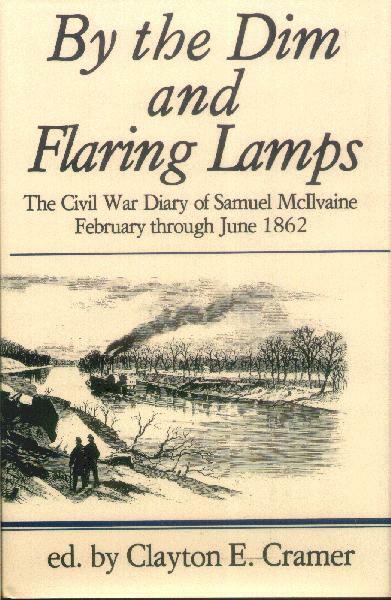 If you are interested in what an intelligent, quite literate Union infantryman experienced in the Indiana 10th Volunteer Infantry, Army of the Cumberland, this may be for you! Published 1990 by Library Research Associates, Inc., Monroe, N.Y. This is a small publisher, in a small town (that's the whole address!) so some book stores may not be too anxious to order this book. You may be able order it from barnesandnoble.com. 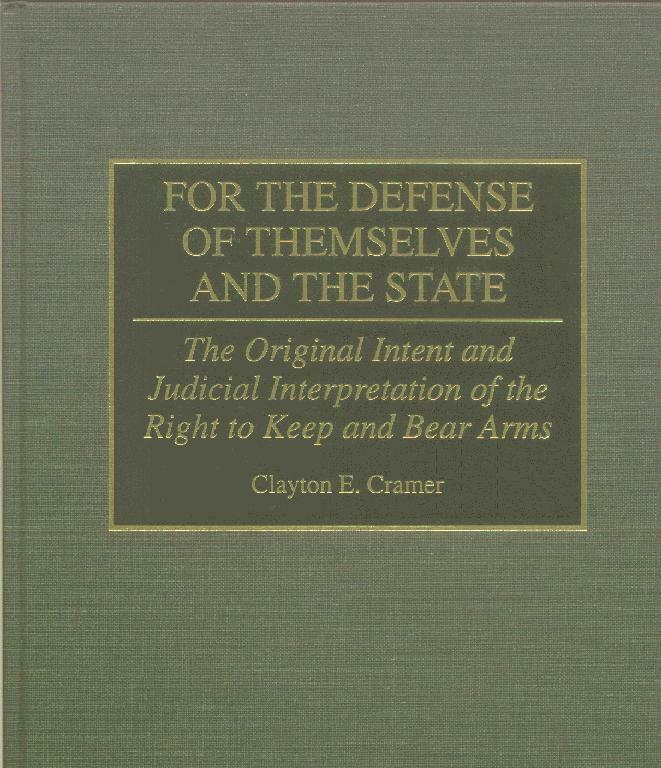 This is the authoritative history of how the courts have interpreted the meaning of the right to keep and bear arms. It doesn't just cover the judicial interpretation of the Second Amendment to the U.S. Constitution, but also the analogous guarantees contained in most of the state constitutions. It was cited in the federal district court decision USA v. Emerson (N.D.Texas 1999) and in the Washington Supreme Court decision State v. Sieyes, 225 P.3d 995 (Wash. 2010). Published 1994 by Greenwood Publishing, Westport, Conn.
Greenwood Publishing Group has a webpage from which you can order this book. You should be able to order it through most bookstores, but because it's a scholarly work, you may have some difficulty ordering it through through local chain bookstore. They can do it -- if they want to do it. This is a guide to political activism aimed at the average American gun owner. 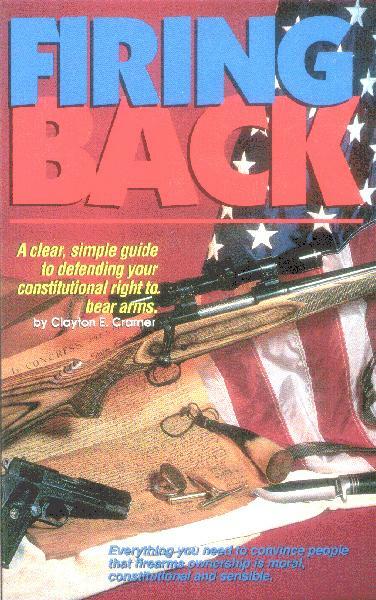 It has sections on effective political activism that would be useful regardless of your cause, and chapters that dissect conventional wisdom and arguments with respect to gun control. I'm a former supporter of what is popularly called "gun control," so don't be so sure that you're not interested in it! Published 1995 by Krause Publishing, Iola, Wisc. Published in 1997 by Greenwood Publishing, this is a reference work on black population distribution, both free and slave, by state and region. 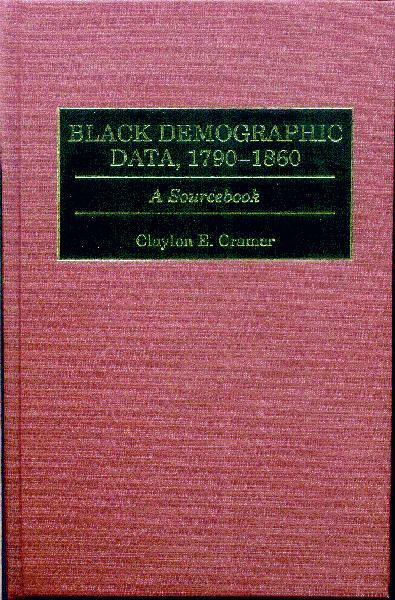 It also includes 20,000 words about the significance and accuracy of the census data; the process by which both manumission and abolition brought about the end of slavery in the "free" states; the continuing controversy about black disabilities and the 1840 census; and legal restrictions on black migration within the United States. To see the table of contents, preface, the first chapter, a few pages of graphs and tables from the book, and the bibliography, click on the title above. You can order it from barnesandnoble.com. 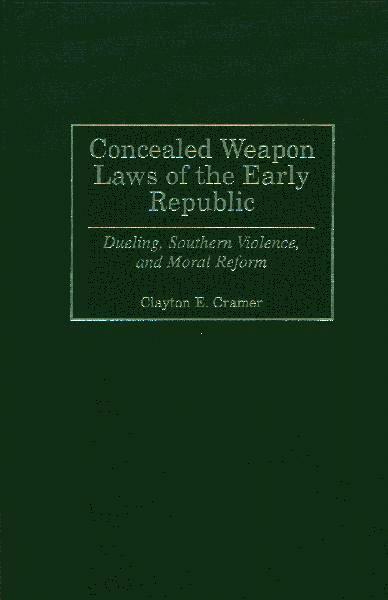 Published in September, 1999 by Greenwood Publishing, this book examines why Southern states took the lead in the adoption of laws regulating the sale and carrying of concealed weapons before the Mexican War. While many of the antebellum weapons laws were associated with the maintenance of slavery, the principle objective of these particular laws had nothing to do with race, but were an attempt to solve the severe problems of "honor violence" associated with the back country culture of the South. To see the table of contents, introduction, and the first chapter, click on the link above. You can order it from barnesandnoble.com. 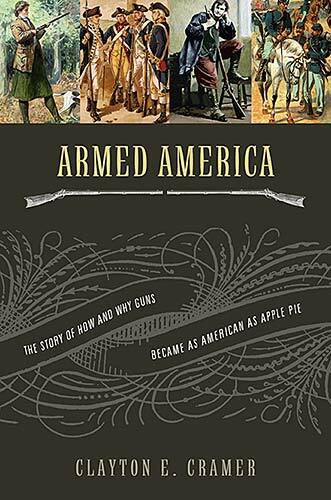 Published in January, 2007 by Nelson Current, this book examines the development of a distinctively American gun culture to 1840 with its implications for the concept of citizenship based on the duty to militia service. It also demonstrates that the widely publicized and accepted claims of now former Professor Michael Bellesiles of Emory University were not simply wrong, but intentional fraud. 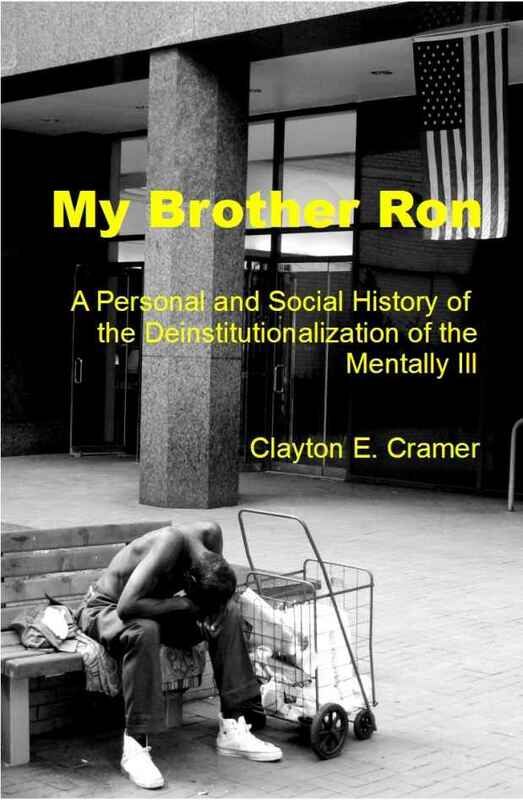 Published in July, 2012 by CreateSpace and Amazon, My Brother Ron: A Personal and Social History of the Deinstitutionalization of the Mentally Ill is both the story of my older brother's descent into madness, and a history of how and why the United States (and eventually, most other Western countries) abandoned the old system of caring for the severely mentally ill, leading to widespread homelessness, increases in violence, and the general degradation of urban life. Available from Amazon in both paperback ($10.95) and Kindle editions ($1.49), and from Barnes & Noble in paperback ($10.95) and Nook ($1.49) editions. 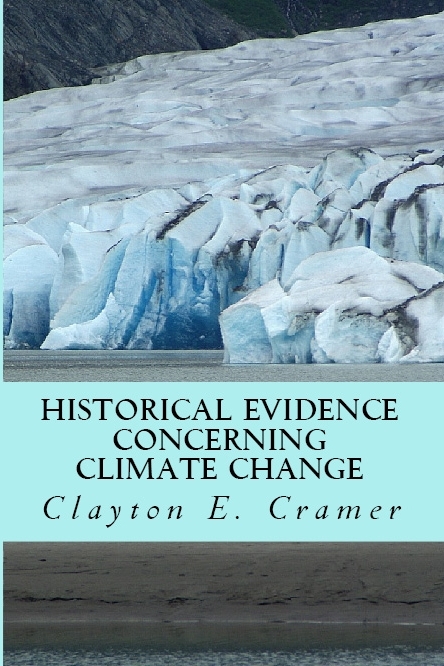 Published in 2016 by CreateSpace and Amazon, Historical Evidence Concerning Climate Change demonstrates from both historical and archaeological evidence that our current warming is part of a long pattern unrelated to mankind, unless our Stone Age ancestors drove SUVs. 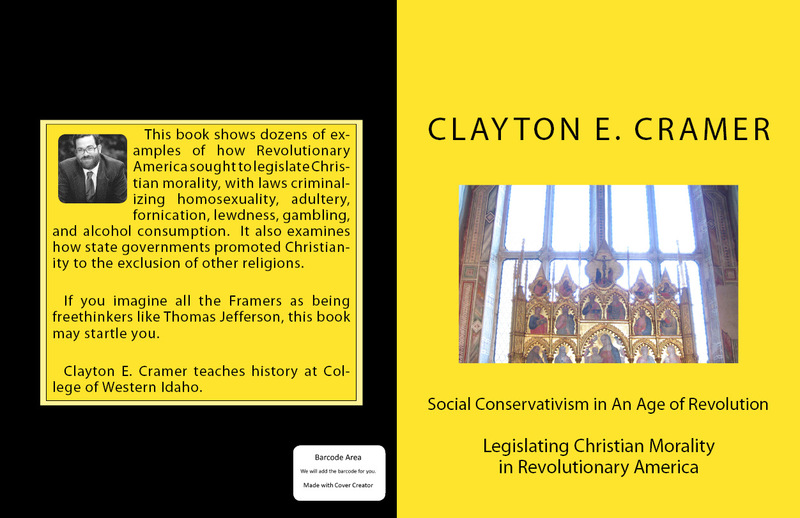 Published in 2016 by CreateSpace and Amazon, Social Conservativism in an Age of Revolution illustrates how state governments in Revolutionary America sought cto ontrol sexual behavior, alcohol consumption. gambling, and religious belief.. Available from Amazon in both paperback ($5.38 and Kindle editions ($1.99). 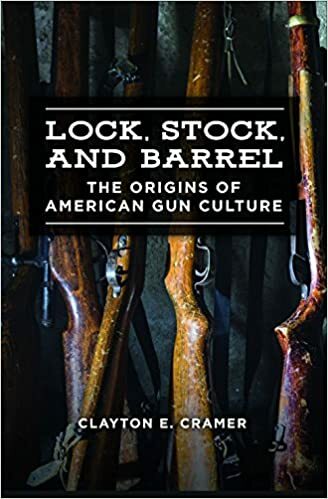 A history of gun culture in the U.S. and how American gun manufacturing created the modern industrial world.